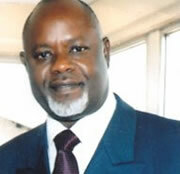 Engr.Greg Ogbeifun, an indigenous ship owner and President, Ship Owners Association of Nigeria (SOAN), has urged the Nigerian Maritime Administration and Safety Agency (NIMASA) to review the Nigerian Seafarers Development Programme (NSDP) in order to achieve the goal of the programme. Ogbeifun made the call at a Maritime Students Conference, which held recently in Lagos, while supporting the students’ plea for government to provide opportunities for the mandatory sea time training. He applauded the initiative for its effort at salvaging the sector from the dearth of trained professionals, and advised that structures for practical training be established to accompany the academic aspect for a rounded programme. The SOAN President said that the disconnect in the programme resulted from the fact that the Agency had not leveraged on its relationship with ship owners in Nigeria and engaged them to provide training for seafarers. He argued that all over the world, the responsibility for training seafarers fell on ship owners who at the end of the day became their employers, adding that adopting such practice would improve the quality of Nigerian seafarers. Ogbeifun said that Shell tankers, the defunct Nigerian National Shipping Line (NNSL) and LNG tankers were some of the organisations that train professionals, while he urged NIMASA to engage ship owners in the training of seafarers as is the practice world over. He said fashioning out ship owners’ participation in the training programme would improve the standard of Nigerian seafarers and ensuring that they are employable at the end of the exercise. Reacting to this however, Mrs Irene Macford, who spoke on behalf of NIMASA, said the Agency was concluding sea time arrangement for the students. Macford said NIMASA remained committed to ensuring that the seafarers who got trained met internationally-acceptable standards.